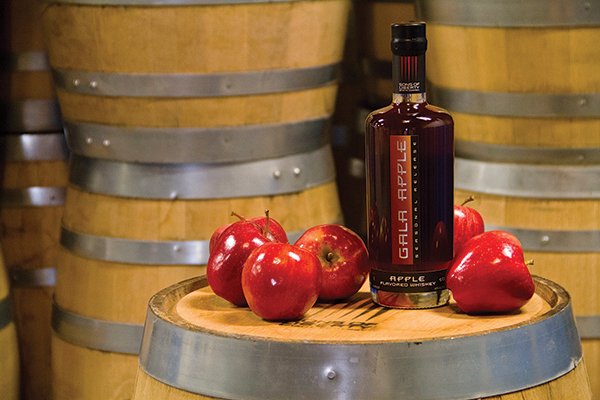 South Kingstown’s Sons of Liberty Spirits Company extended its seasonal line of whiskies with the new Gala Apple Whiskey. Sons of Liberty used more than 9,000 gala apples from Blue Hills Orchard of Wallingford, Connecticut and Drazen Orchards of Cheshire, Connecticut to make its seasonal whiskey. The apples were brought to New England Cider Company, also in Wallingford, where they were shredded into a sauce-like mash, called pumice, then pressed to extract juice from the fruit. The juice was then blended with barrel-aged whiskey made for this release.